Ella~and~Irene's Place: Meet my new best friend! Spanx In-Power Line Super Higher power Shapewear. Meet my new best friend! Spanx In-Power Line Super Higher power Shapewear. 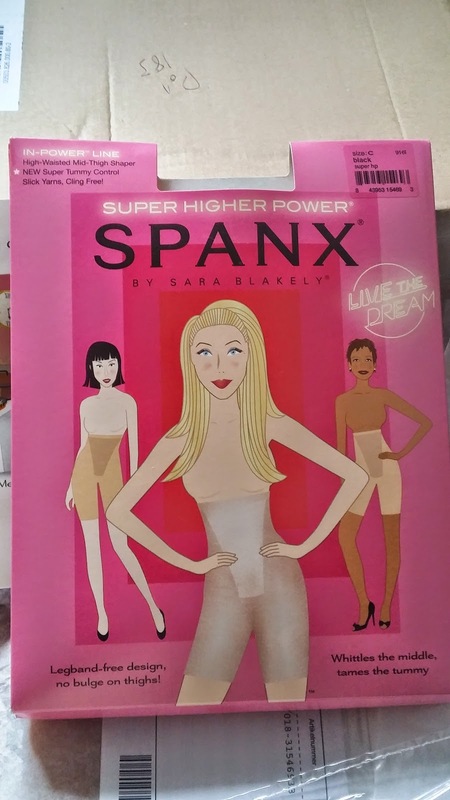 First of all, I know I Joined the Spanx band wagon a bit late but for me its a case of better late than never! I mean, why did it take ages for Spanx to locate me or is it simply a case of the other way round? For quite a while now, I have been searching for the ''perfect'' shapewear to help do the needful. After two kids via ceasarian, my body has sadly refused to sync with my mind, haha! It now has a mind of its own and continues to grow in leaps and bounds! Lol. At the moment I am a size 14 and I would describe myself as petite or small perhaps. Often times, when I am out with the kids, I get people asking me if I am minding them whilst their parents are away! I mean if anything, if people think I look too young to be the mum of my kids then it just means I am growing gracefully and I am very grateful for that. To be honest, I am not going to push myself to do anything drastic in a bid to achieve a svelte figure and just as long as I am fit and healthy I am A-OK! So I absolutely love myself as a size 14 just as much as I love myself when I was a size 6. Back to shapewear! Haha, typical me. So my search for that perfect shapewear has been a long and laborious one. I am not someone who would purchase an item because celebrities have been said to endorse it,Personal experience is key for me. Everytime I thought to try a new shapewear because the one I purchased had left me utterly dissapointed and had found a new home in the bin, I would say to myself to leave spanx to the very last option and try another brand and trust me I have tried quite a bunch. However, my mindset totally changed two weekends ago. I had attended a reception dinner with hubby and I absolutely looked gorgeous in my lovely gown. Of course, I had a full slip shapwear on to help smoothen and hold everything in place. I found out very soon (and by this time, we were almost at the venue) that it would be an absolutely struggle to have the shapewear remain in place, it kept riding up and even worse was I spent the better part of the night struggling to keep it in place. Absolutely ruined my evening, total nightmare! 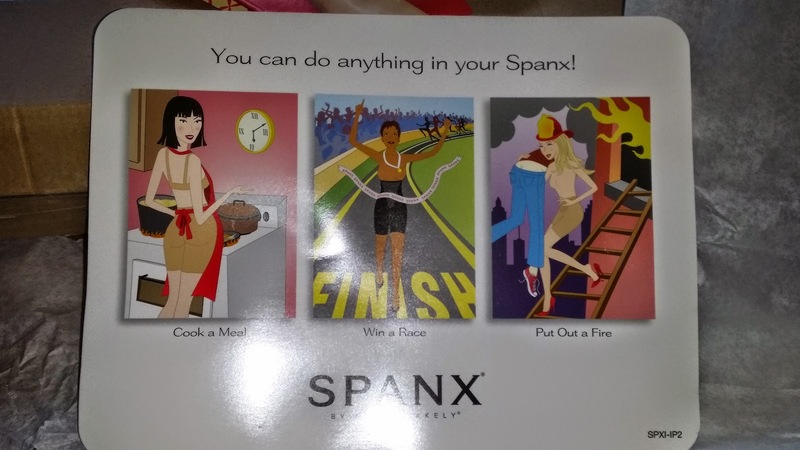 ...Enter spanx! I had tried on quite a few brands and I felt I had finally gotten to my last option. Time to experience what all the fuss with Spanx has been about. In-Power Line Super Higher Power. Then choosing the right size was another challenge. The size chart on that website is not exactly the most helpful, thank goodness for google and reviews. I finally settled for a size C.
Delivery was quite quick and I could barely wait for the delivery person to leave so I could shut the door and get to serious business. My initial reaction upon unwrapping the item was one of shock! It looked so small and definitely not the most attractive piece of underwear I have owned! My heart absolutely sank but I did not let it deter me, after all there had been SEVERAL times in the past when I have had to squeeze my self into various clothing no where near my size just to give myself a reason to purchase it rather than giving up entirely because the store had run out of my size. Anyways, so after much pulling,heaving,yanking and what have you, I was able to get it in place and it was absolutely worth it. I looked in the mirror and was absolutely pleased to see what it helped me achieve. Once I got it on, it felt comfortable, My slight tummy bulge was very well hidden and it held me firmly in all the right places. What is not to love about my new best buddie? I wanted to be sure, it would stay in place once I started moving around so I dressed up and went for a short walk and returned back home, I had to keep asking myself if I still had it on, it was absolutely comfortable I did not feel I had a shape wear on. I have worn it a second time after that and the experience was pure bliss! 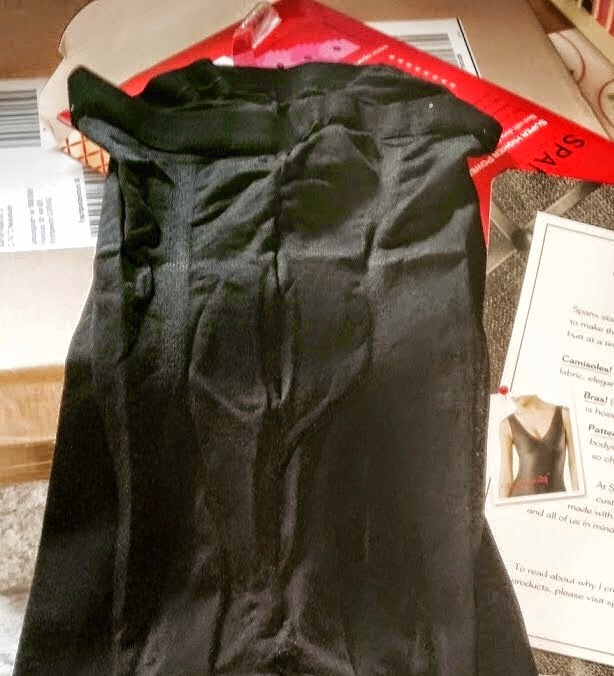 I felt no restriction or constriction in this shapewear and I am absolutely hooked on this so much I have now placed another order for a couple more different spanx shapewears. As for me, the search for a ''perfect shapewear is finally over .I have found what I have always needed and it is indeed my new best friend!